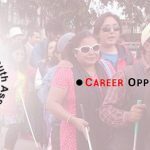 Blind Youth Association Nepal (BYAN) is a not for profit Non- Governmental Organization (NGO) established by the Blind and Partially Sighted (BPS) youth of Nepal. It is a national association for youth aged between 18-35 years. As a rights-based organisation, BYAN intends to play a proactive roles in the formulation, amendment and implementation of BPS related legal provisions, and in organising and capacity-building of BPS youth across the country. BYAN has strong networking and cooperation with different government and non-government stakeholders working in various domains of disability and in particular to the blind sector. Should have completed Bachelor in management. Should have experience of at least 1 year in related field working on NGO sector will be an advantage. Should have strong knowledge of Tally.ERP9. Excellent in Excel skills and MS package is most. Strong verbal and written communication skills in both English and Nepali language. Having 2 wheeler licenses will be an advantage. S/He shall maintain daily record of all financial transactions of the BYAN with a view to provide information at all times of the economic, monetary and financial transactions of the organization when needed. The accounting is based on the Double Entry System of Book –Keeping, involving recording of a cash book including the bank accounts. S/He will be responsible for preparing vouchers for all the cash and bank payments, providing support to meet the compliance with government regulations in financials and other matters, for instance registration, approval, taxation etc., and timely payment of taxes and dealing with bank and other services providers for the timely payments. Reconciliation statements shall be prepared with the cash-book and pass books to the bank accounts monthly as a bank reconciliation statement in connection with the final account. The Accountant shall maintain accounts in accordance with detailed instructions of the Director as well as the financial rules and regulations of BYAN. S/He shall report to the director about budget and expenditure report to ensure that funds for the projects are spent within the limits prescribed by the budgets, and that appropriate accounts of income and expenditure, statements and reports, according to guidelines and directives given.